GyanOne brings you a consulting case interview preparation service delivered by top former consultants from McKinsey, BCG, and Bain. So that you can focus on highlighting your best self confidently on the hardest part of the consulting interview process – the case interview. Resume review: Creating a fit for consulting roles starts with having the right experience and skills on your resume. We help you highlight the work you have done in the best possible way aligned to this objective. 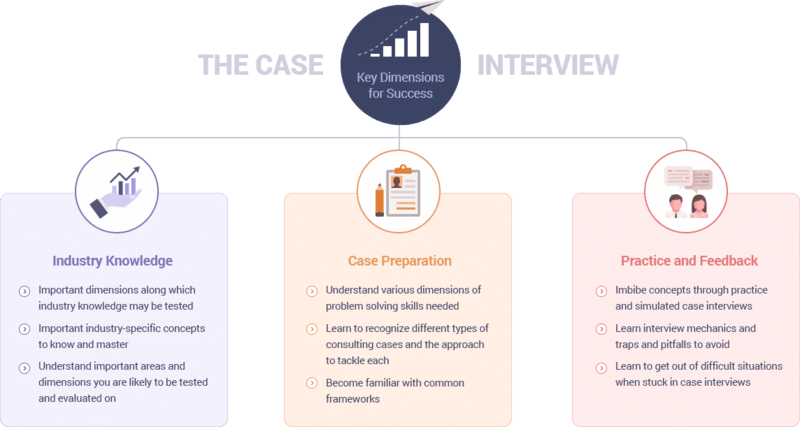 Prepare to crack the case interview: Understand how case interviews work, and what it takes to ace them!